On January 1st, 2011, I am implementing a ban. I will go one entire year without acquiring any new books whatsoever. I won’t purchase them or borrow them from the library, I won’t get them on loan from a friend. I won’t acquire e-books, either. And I’m asking my friends and family not to gift me any books of any kind. No new books for twelve full months. I feel a little dizzy about it. Nervous. Almost-but-not-quite panicky. But I also feel relieved. Calm. Peaceful. Excited. Ready. I walked around my house a few weeks ago, noticing how many piles of books I own. There are many piles, shelf after shelf, heaps of books lying around waiting to be read. This is a lot, and this isn’t even all of them! We own a lot of books, but the number that I haven’t even read yet is boggling. I keep piling them on, adding them to the heap, and not reading them. I’m not even making progress in the to-read stacks, because I add more than I read! So it’s time to take drastic measures. It’s time to make space for the millions of words waiting to cross my path. It’s time to spend time with authors already here, ideas laying in wait, pages anticipating my gentle caress. I have books written by friends, books written by strangers, books I’ve had a long time, and books I’ve only bought in the past week – all waiting for me. I’ve been waiting for them, too. I look at them longingly, wishing I had more time to read them – but I’m in charge of what I read, of how I spend my time. 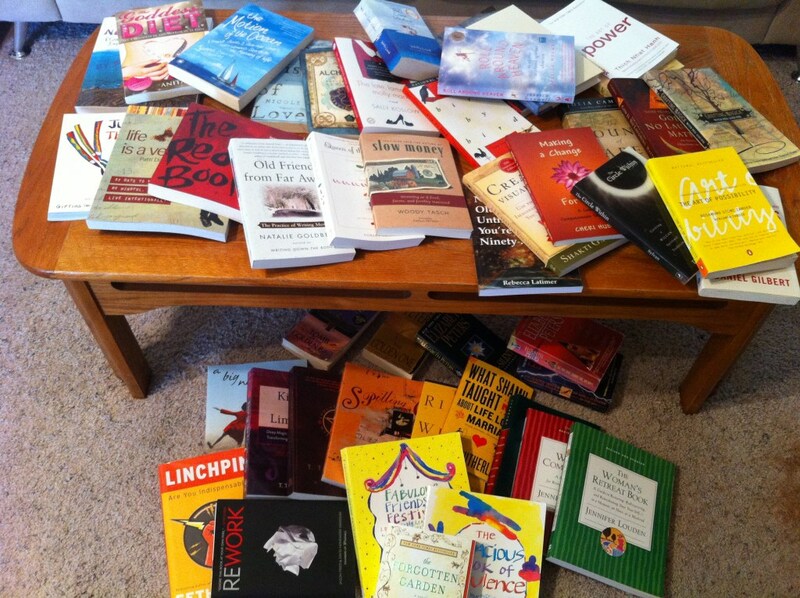 The addition of new books is fun, alluring, tempting – but not fulfilling. How can it be, when I just add them to a stack of others? I’m not getting anything out of the books, but I’m giving up space and money for them. And my bar is high – I only purchase those books I feel will be fulfilling, life-changing, interesting, gripping, or highly entertaining, so I know I’m surrounded by books that are just begging to make my life better in some form or fashion. And now they’re gonna get their day in the sun. Twelve full months without acquiring any new books. Plenty of time to read all the ones in all the stacks all over my house. Would you like to join me? Are you hip-deep in books you haven’t read yet? Want to play along with my book-buying ban and see what it’s like? Feel like keeping me company on this wild ride? Pace made us two awesome banners; feel free to grab one and wave it proudly in your own space, by copying the HTML code and pasting it onto your own website or blog!